Whether you homeschooled your children at lower grade levels or not, online high school education programs are worth considering at the high school level. What your child learns and accomplishes during these final years of primary schooling will have a critical impact on their future. It goes well beyond passing standardized tests and going to prom. You want your child to prepare for college, decide what they want to do with the rest of their life, and prepare themselves to make their future dreams come true. That won’t happen in many public schools, which is why so many parents decide to teach their children at home once they reach high school. If you are considering that for your child, the following pros and cons will help you make an educated decision. There are many advantages to choosing to get a high school education online. The biggest advantage to online high school education is the ability to maintain control of your child’s education. Your child has little say over what they are taught while they are attending public or private schools. As a homeschooled high school student they have more power to learn what they know will prepare them for the future they want to live. Parents also have more control over what their children learn and do not learn as long as all state requirements are met. The best accredited online high school programs ensure that your child meets these requirements without a lot of paperwork on your part as the parent. If you are concerned about red tape and state restrictions, check into accredited programs that work with your established schools. or wants to participate in competitive sports programs. In these circumstances, online high school programs are ideal. You can simply take the work with you since your child only needs an Internet connection to complete their work. 3. Many students simply enjoy studying in their own homes in more comfortable surroundings. They don’t have to worry about violence, rumors and other social problems that surface in public as well as private schools. High school students still need social lives, but they still benefit from a controlled, peaceful learning environment that allows them to concentrate fully on their studies. Parents often feel more comfortable homeschooling their high school students as well because they know that they are safe while at home. 4. Not studying alongside other children also means that your student can go at their own pace. If they find one lesson easy, they don’t have to sit through endless lectures while other students try to catch on. 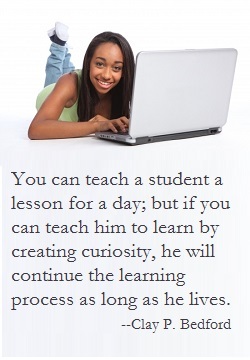 If they find a lesson challenging, they can go back over it as many times as needed to fully grasp the information. They will also have greater help mastering the difficult lessons since parents and other adults have more direct involvement with students in the home-learning environment. The best programs also allow access to teachers and sometimes other students through online forums, email and other messaging systems. Many parents consider online high school education programs because they hear that their children may be able to finish high school early or attend college courses while they are completing their high school diploma. Both of these options are possible for many students, but you need to carefully select the best online program, set goals with your child, and carefully schedule courses in order to meet those goals. Many public and private high schools offer programs that allow students to attend some college courses at local community colleges. You should consider those programs as well as your child’s opportunities as an online or homeschooled student before making a final decision on what type of education they receive. There are a lot of reasons to sign your child up for an online high school program, but you have to consider the downsides to do so as well. One of the biggest concern for parents is that not all online high school programs are accredited. While many colleges and universities actually LOVE homeschool students and seek them out, unaccredited programs don’t always issue official diplomas that the schools are looking for. The solution is to issue transcripts and a homeschool diploma yourself, but can involve a lot more work from the parent to document everything. You also do have the choice of selecting an accredited program from which your child receives an official diploma. 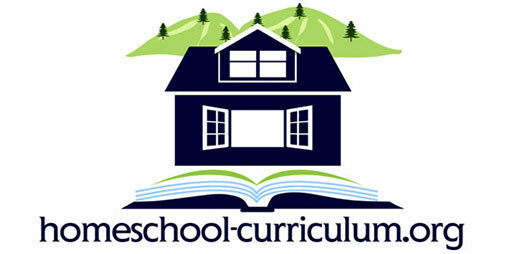 Those programs are usually more structured than unaccredited programs, but you also have the option of registering as a homeschool family and creating a more flexible high school program for your child. Your legally homeschooled child will still be able to go to college and secure jobs after graduation as long as you meet all state requirements for official homeschooling. Some employers may look down on this type of high school education, but most universities and employers will consider your child’s homeschool transcript and high school accomplishments to judge them as they would any other graduating student. Once you decide to allow your child to complete their high school education online, you will need to provide supervision and guidance for them around the clock. If you work outside of the home, you will need to trust your teenager at home alone while you are gone or find someone to come to your home for supervision. Students also need to keep themselves on track with their studies when homeschooling or completing an accredited online program. Parents can help by checking that all work is completed and the student is scoring well on tests, but students at this age still must keep their focus and redirect themselves away from distractions when parents are not around. This is challenging and may cause some students to fail without constant guidance from teachers in a school environment. If you know that your child is easily distracted or uninterested in school, you will need to motivate and monitor them closely if you want them to succeed with an online program. One reason many high school students fail with online programs is the limited opportunities for social interaction. You do not want your child sitting in the house all day without social lives. This can lead to depression and a decline in social skills, and it can lead to a child acting out. Students and parents will want to explore ways to get involved in local homeschool groups, church youth groups and outside opportunities to get to know and interact with other people. The truth is that homeschoolers actually tend to be more social and have more chances to interact with people than the average student that is in the same classroom with the same kids for at least 7 hours a day, but you do have to seek the opportunities out when you get started. There are some Internet-based high school programs that your child can sign up for free of charge, but many of the best programs do charge fees. These programs cannot operate for free because they employ live teachers to create their courses, grade assignments and tests, and interact with students to ensure they master the material. The courses are all offered at least partially online, but real teachers are still actively involved with the students. These programs can cost thousands of dollars a year, and not all parents can afford to pay that much. Luckily, there are some low-cost and free high school programs now being offered online for parents who can’t afford the more expensive options. With a bit of research, most parents can find programs that fit their budgets as well as the needs of their child. Allow each of your children to voice their opinion when determining what type of high school education they will receive. What works best for one child may not be what is best for another child. For instance, special needs may stop one child from excelling in an online high school program while working online with an independent program allows another child to do their best work. 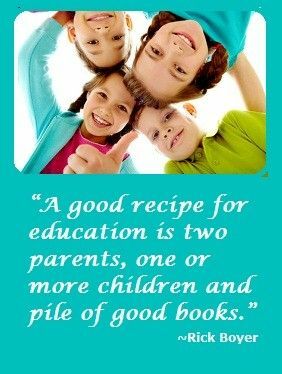 Listen to your children and use your knowledge of each child to make the right decision for their future.